Railway Recruitment Board has declared the result of Auto Loco Pilot Stage 2 Exam. 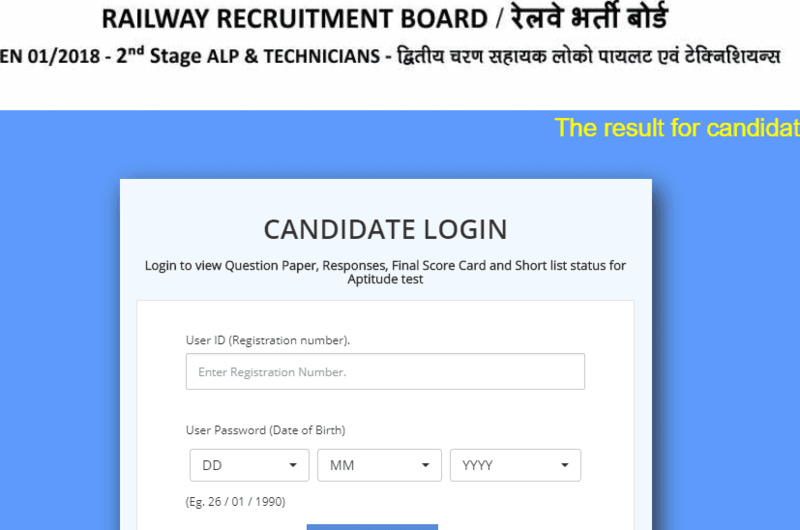 RRB ALP CBT State 2 Result, Exam Score, Cut Off : Railway Recruitment Board has declared the result of Auto Loco Pilot Stage 2 Exam. Candidates who appeared in the examination can check their result at the official website of the Board. RRB released answer key for the examnination earlier last month on March 23rd, 2019. More than 5 lakh candidates were shortlisted for the second computer based test (CBT) of railway ALP, technician selection process. Candidates who took the exam can check their result on the official website of RRBs. Candidates can check their result, cut off from the respective website of Board, Link given below.